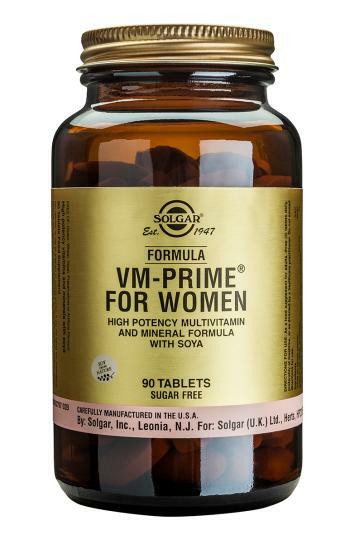 This is a unique formulation for menopausal and post-menopausal women which is rich in essential nutrients for healthy, strong bones. This multivitamin is helpful to control hot flushes and night sweats and promotes heart health. Ester-C® is a registered trademark of The Ester C Company. Manufactured under U.S. Patent No.’s 6,197,813 and 6,878,744 and corresponding foreign patents. †Soy from Nature® is a registered trademark of Solgar, Inc. ††Chromax® is a registered trademark of Nutrition 21, Inc.